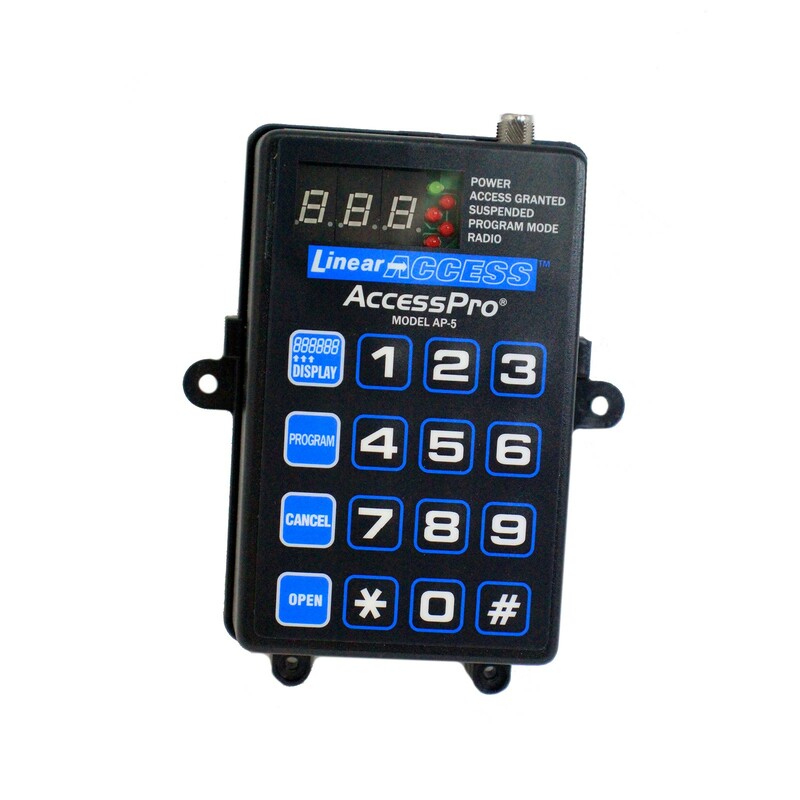 The Linear AP-5 Multipurpose Wireless Access Controller is designed for a broad range of applications and can control one or two door strikes, mag-locks, barrier gates, automatic gates, or door operators. The Linear AP-5 Multipurpose Wireless Access Controller is designed for a broad range of applications and can control one or two door strikes, mag-locks, barrier gates, automatic gates, or door operators. 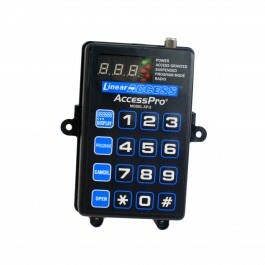 Its wireless design and small size fits a variety of access control requirements. The unit's built-in high-gain superheterodyne receiver picks up transmitter signals from up to 500 feet away. 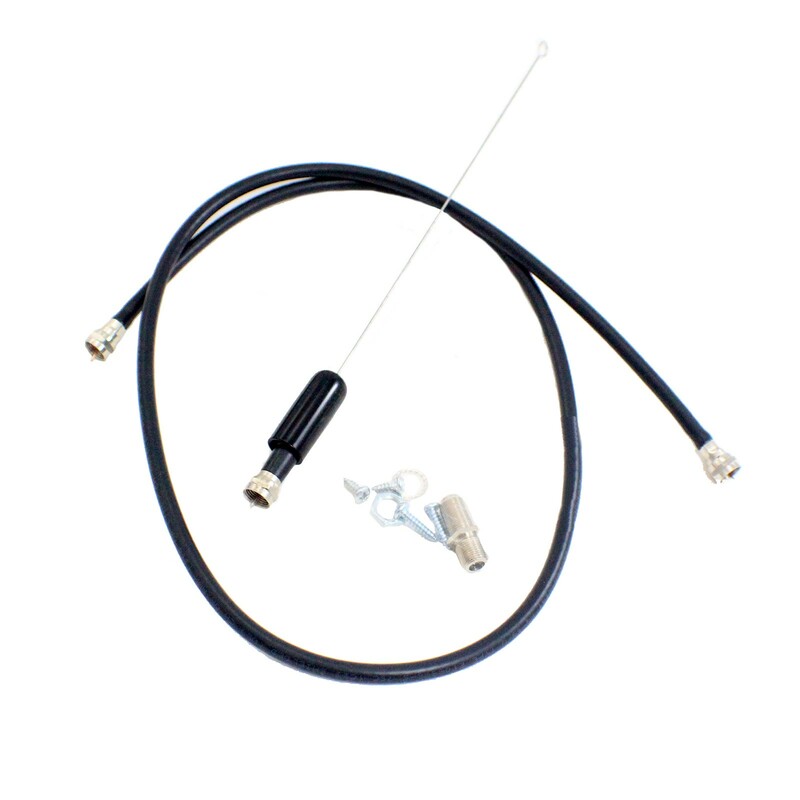 The optional EXA-2000 antenna can be used for additional range. Up to 480 Linear MegaCode® transmitters and six Model MGT supervised safety edge transmitters can be programmed into the AP-5’s memory. Up to 238 entry codes can be programmed for activation by one or more MegaCode® wireless keypads. The AP-5 will retain its memory, even without power. Three dry contact relay outputs are provided. One relay is dedicated for access control, another dedicated for obstacle detection, and the third programmable for either access or obstacle. Access relays can be set for timed or latch-on/latch-off toggle operation. The on or off toggle state of a relay is maintained even after power interruption. For entrapment detection, obstacle relays activate from MGT safety edge transmitters and connect to the obstacle input of the access device. OPEN REQUEST input terminals are supplied for hardwired activation of the access devices with an external pushbutton or keyswitch. The AP-5 monitors each MGT safety edge transmitter for hourly status reports, tamper signals, and low battery signals. A beep will sound every 5 seconds if a fault occurs and the trouble source can be displayed. An access transmitter must be activated twice to trigger the access relay if a supervisory trouble condition exists on any MGT transmitter. The AP-5 can be powered from 12-24 Volts AC or DC. The Form C relay outputs can switch up to 1 Amp each. An EARTH GROUND terminal is provided as a recommended connection for maximum lightning and static protection.